Lock in a great price for Hotel Ristorante Parco Belvedere – rated 9.2 by recent guests! I wish I can rate this place a 20/10 ! The staff were so accommodating ! Alice and Massimo (the sweetest staff ever) were so nice to us they were very helpful and sweet, always made sure that we are in good shape and satisfied! in addition to great food, cleanliness, amazing views and landscapes ! This place is amazing ! Everything was great! The room, the view over the lake, breakfast. Very clean rooms! It looks like a 4 stars hotel! Amazing views, clean and modern rooms, comfy bed, good breakfast and seriously the best dinners! Seriously our new favorite hotel and would def stay here again. Loved that it wasn’t touristy as well and still a short drive to Bellagio and Varenna. The stuff was really nice and polite, always happy to help you out. The hotel is nice decorated and looks really pretty. The room was really clean and the bed was comfortable. All in all it was a really pleasant stay and we can really recommend this hotel. A fantastic hotel with great food, really friendly and helpful staff plus our dog was welcome everywhere. Location is amazing! Room with lake view and a balcony was magnificent! Especially pleasantly surprised the restaurant with large windows and lake view! Needs to have dinner! Hotel Ristorante Parco Belvedere This rating is a reflection of how the property compares to the industry standard when it comes to price, facilities and services available. It's based on a self-evaluation by the property. Use this rating to help choose your stay! The Belvedere is a charming villa set on a hill with panoramic views of Lecco, Mount Resegone, and Lake Garlate. Surrounded by greenery, it is just 5 minutes' drive from the center of Lecco. Parking is free. The rooms of Hotel Parco Belvedere are cozy and comfortable with parquet floors. All feature a flat-screen TV with Sky channels, mini-bar, and free Wi-Fi. Superior rooms offer a lake-view balcony. Parco Belvedere 's restaurant and pizzeria is open for dinner, and serves specialties of Lake Como and Valtellina. This family-run hotel is in Pescate, near paths ideal for excursions. You can drive to Milan in about 40 minutes. This property also has one of the top-rated locations in Pescate! Guests are happier about it compared to other properties in the area. This property is also rated for the best value in Pescate! Guests are getting more for their money when compared to other properties in this city. When would you like to stay at Hotel Ristorante Parco Belvedere? Room with attached bathroom with parquet floors and garden views. Offers free Wi-Fi, a mini-bar and a flat-screen TV with Sky channels. Boasting a lake-view balcony, this large room with attached bathroom comes with parquet floors. Offers free Wi-Fi, a mini-bar and a flat-screen TV with Sky channels. 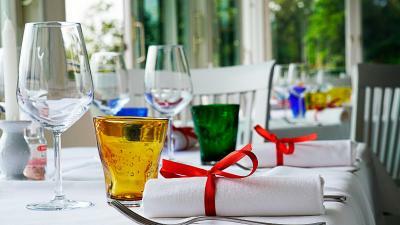 House Rules Hotel Ristorante Parco Belvedere takes special requests – add in the next step! Hotel Ristorante Parco Belvedere accepts these cards and reserves the right to temporarily hold an amount prior to arrival. Please note that reception is open until 24:00. Amazing views.perfect location for mountain walks or a stroll along the lake to Lecco town centre for shopping/drinks/boat trips to Bellagio and many more places. Perfect place for couples. Food was really lovely in the evening, we ate there every night as it was so nice. Breakfast was also very good, lots to choose from. 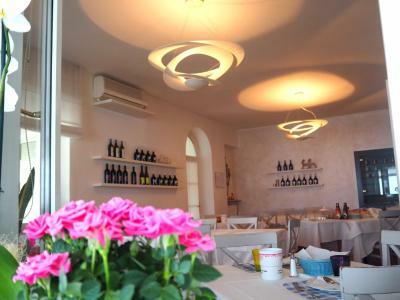 Staff were very friendly and helpful,they spoke very good English for those who aren’t good at Italian like us. View from our hotel terrace was beautiful! Highly recommend this place. Perfect in everything! Location is good. The restaurant is superb! The staff is friendly. The hotel is clean and comfortable. The views are breathtaking! We stayed many places in Italy but this hotel is the best one! We highly recommend it! Thank you for our wonderful stay! Very clean. Modern facilities. The staff is friendly and helpful. Nice views of lake. It was a steep walk to the lake but we knew that when we booked. The onsite restaurant was excellent and the breakfast was on of the best we had throughout Italy. Our room had a balcony and a view out over the lake that was perfect. It was tranquil and relaxing. The room was super clean and the view outside was great!